Notes: Bittersweet is the usual plant for this miner. The mines are usually found in shaded places. The cocoon is usually amongst debris. 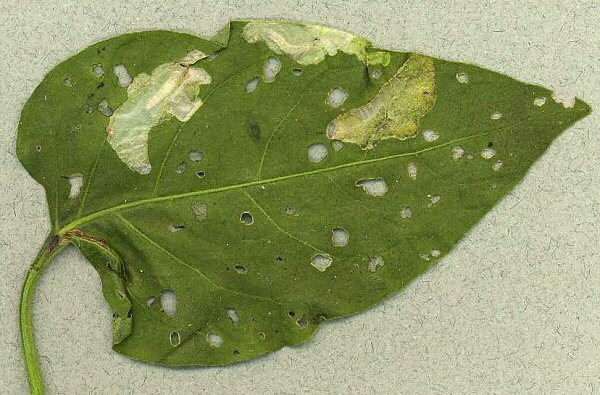 Large translucent mines are made and there may be several mines in a leaf (as shown).